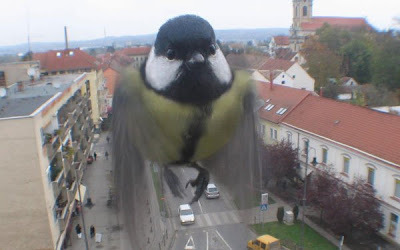 A webcam in Szentgotthárd, Hungary captured this curious bird looking into the camera. The webcam is set to shoot only one frame every minute, so what are the chances? Via CityNoise. Click on image for larger view. What are the chances of us ever getting to see a bird in flight, close-up?